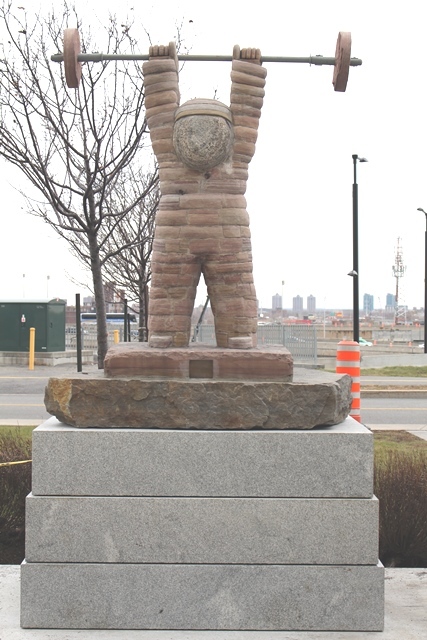 Originally displayed at the MCH Legacy site, Little Hercules and the Inuksuit were re-installed outside the P.K. Subban Atrium on December 7. 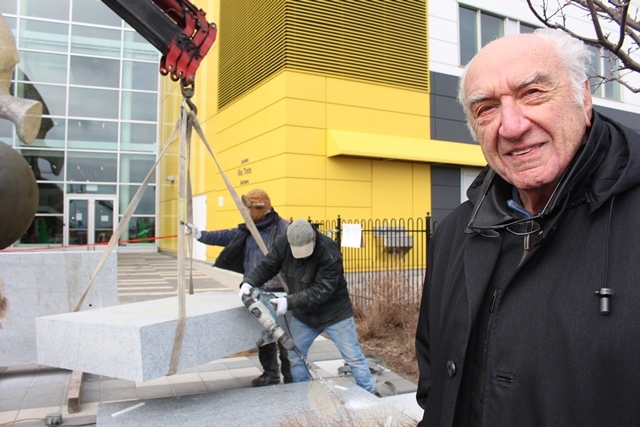 Dr. Harry Rosen, creator of Little Hercules, was on site overseeing the installation of his sculpture which he created in the early 2000s. A prosthodontist at the Montreal General Hospital and professor at McGill University for over 60 years, Dr. Rosen sees many parallels between his profession and his art, “In dentistry and sculpture, we are working with hard, unforgiving material that require accuracy. In both cases, if we cut the tooth or stone too much, we cannot go back and fix it,” he says. As for the sculpture’s new location, Dr. Rosen says, “It’s just right”. 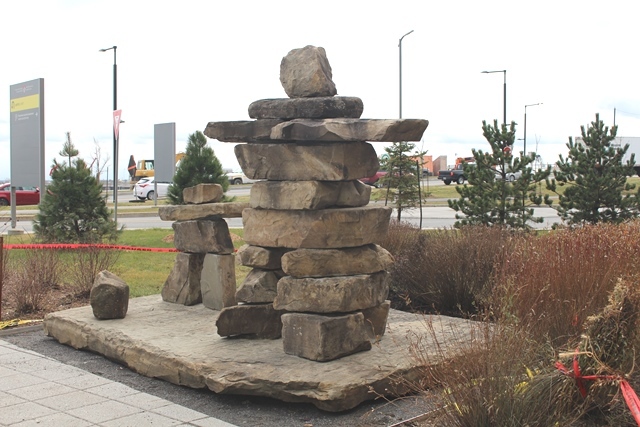 The two pieces are on permanent display by Je suis là, more commonly known as the Giant Bear.